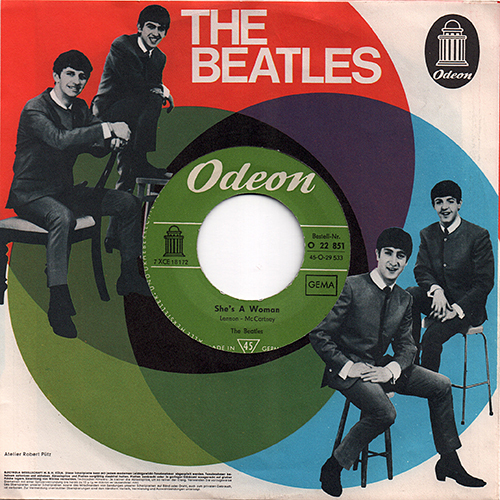 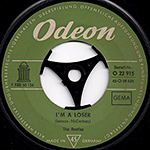 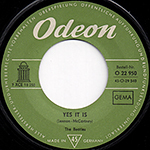 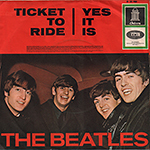 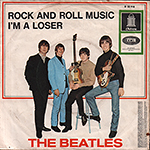 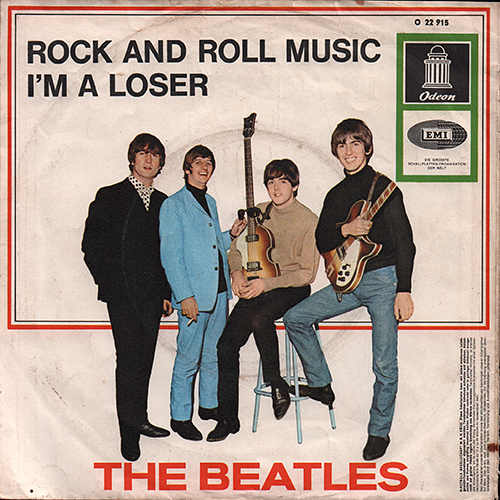 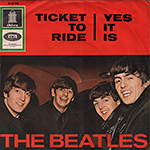 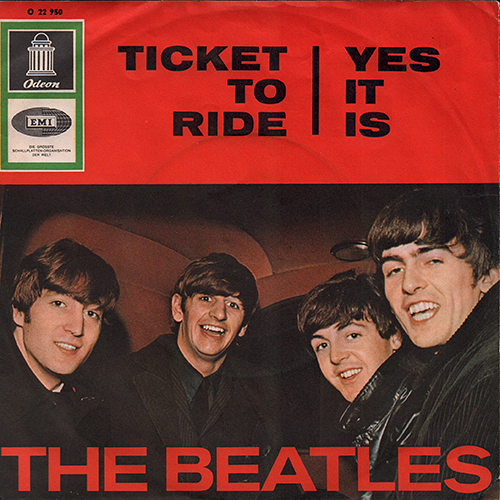 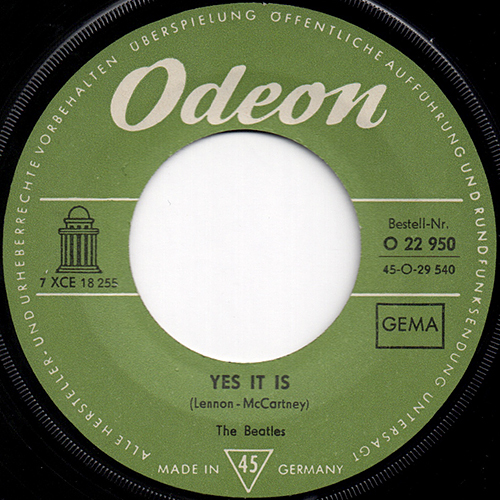 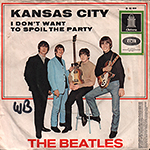 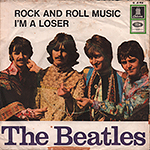 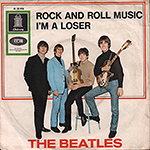 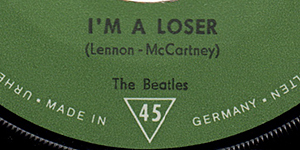 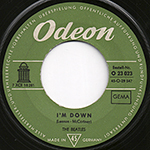 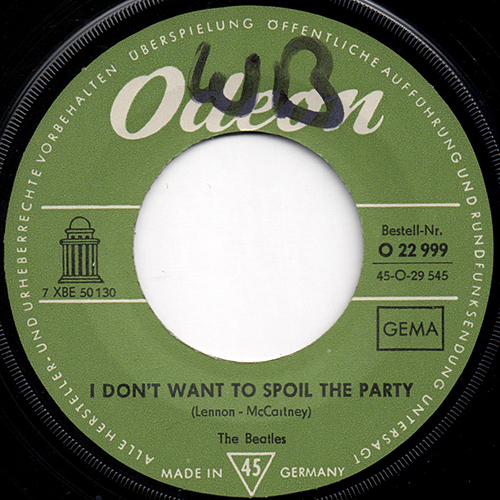 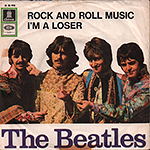 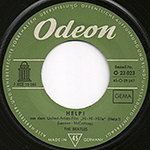 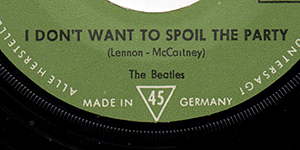 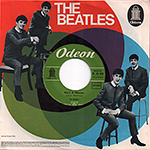 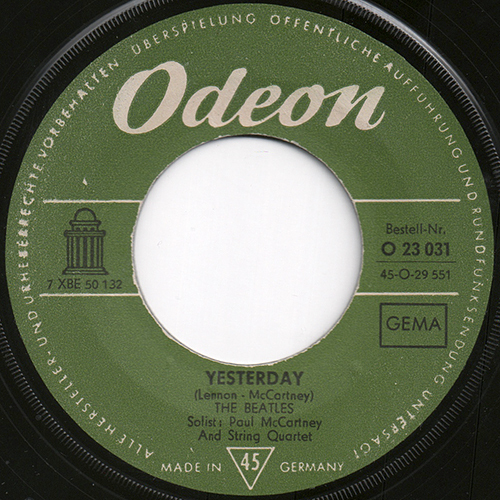 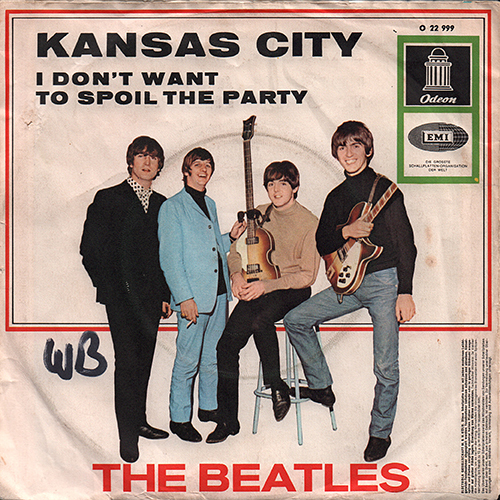 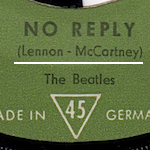 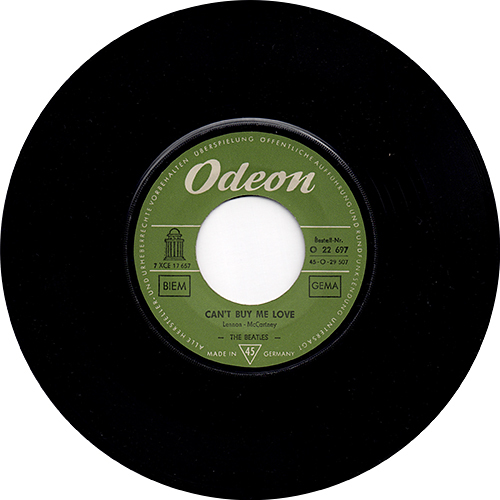 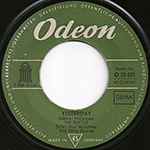 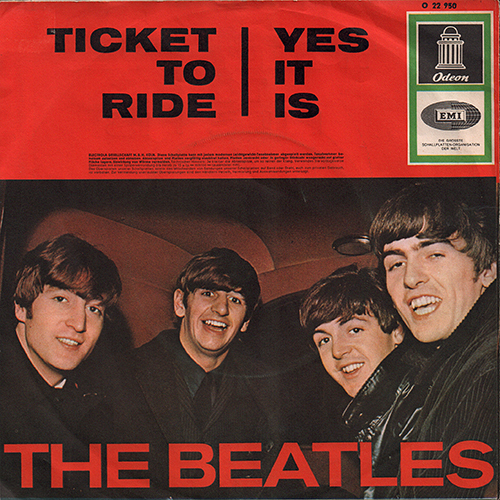 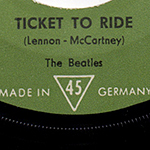 1st press: Credits: Lennon - McCartney without quotes on both sides. 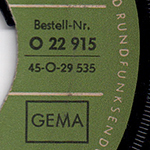 Catalog number "O 22 851" was printed at the right side of the label. 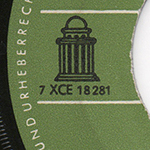 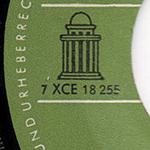 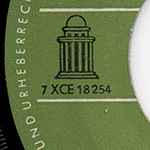 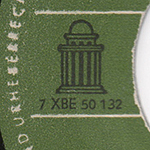 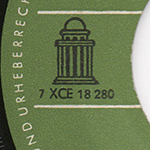 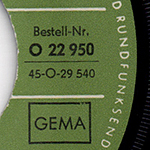 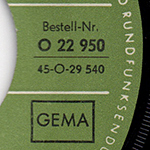 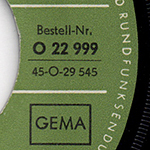 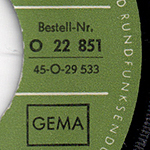 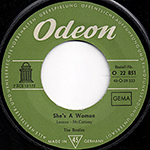 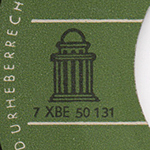 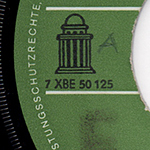 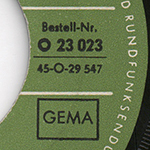 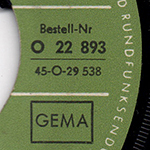 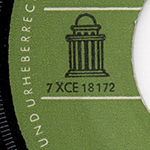 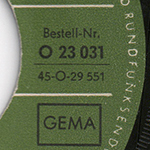 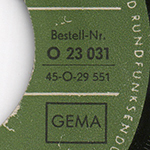 "GEMA" logo was printed on the both sides of the label. 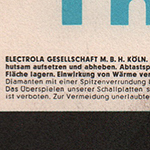 This is the so-called "Bar hocker" sleeve (barstool sleeve). 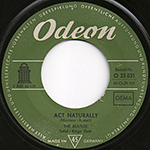 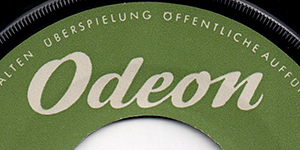 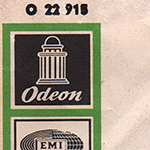 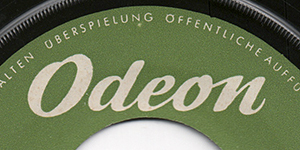 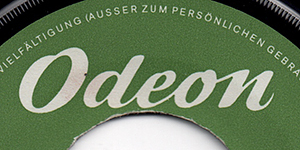 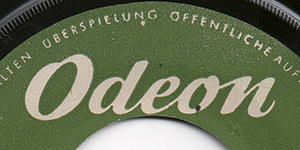 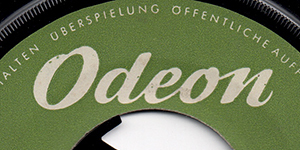 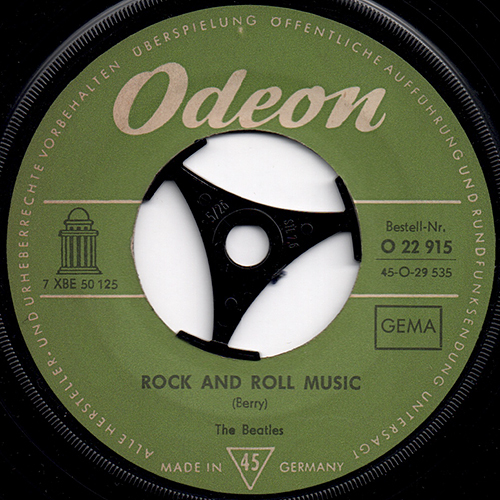 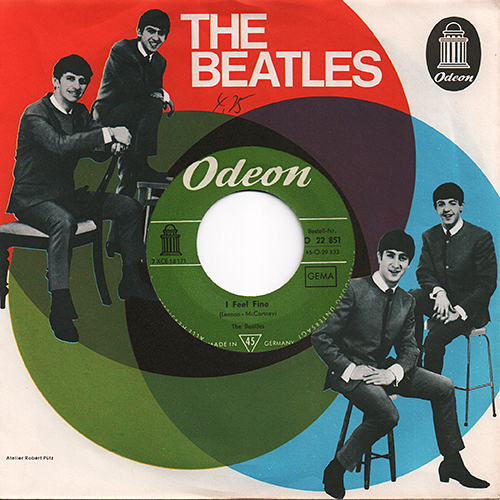 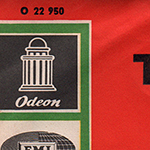 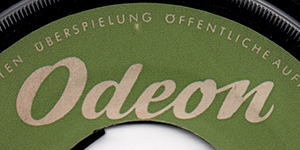 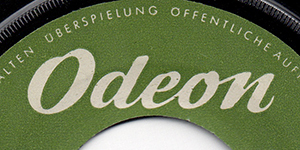 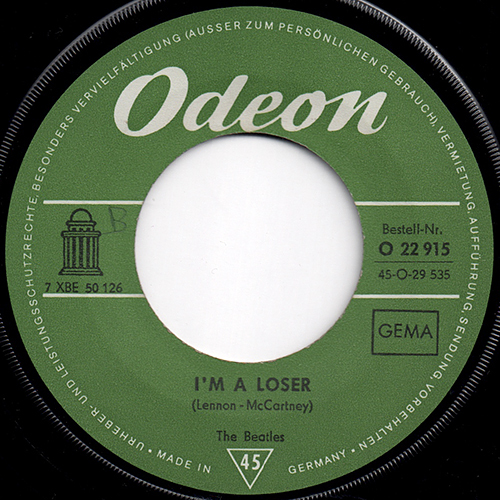 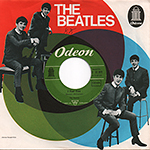 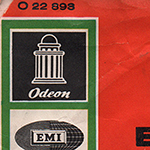 Odeon logomark and EMI logomark were printed at the upper left of the front sleeve. 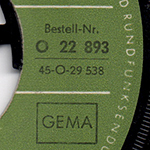 Catalog number "O 22 893" was printed at the right side of the label. 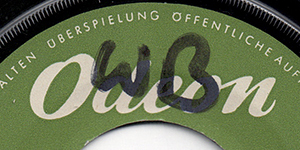 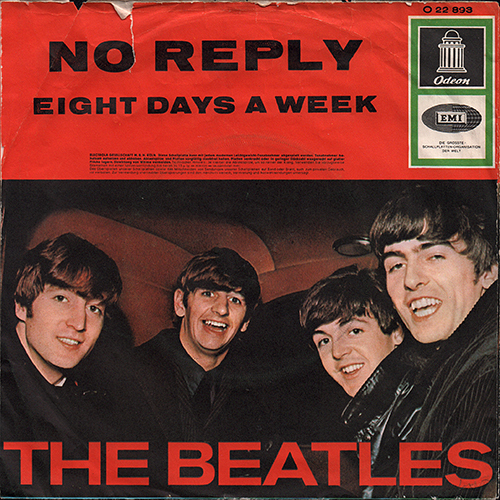 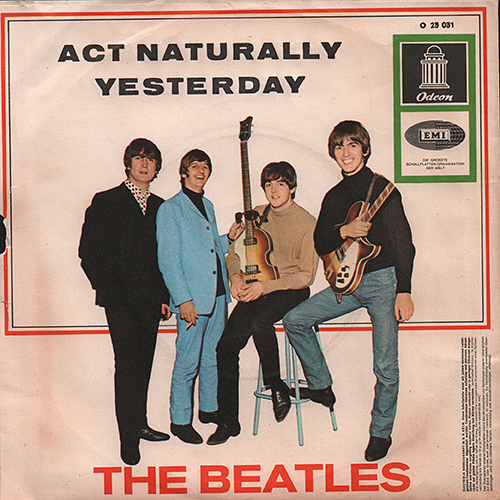 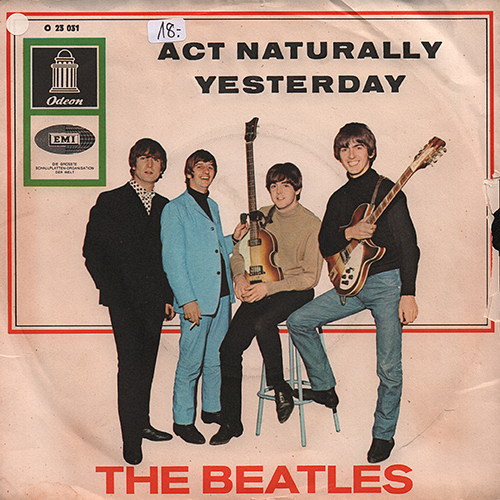 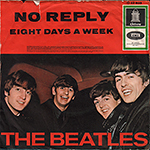 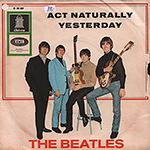 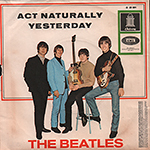 White-label demos are dated 10 Feb 1965 meaning official release was a few weeks later. 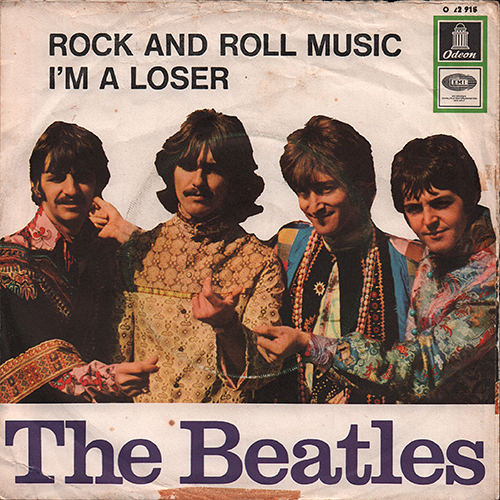 This is the so-called "Cab drivers" sleeve. 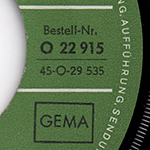 Catalog number "O 22 915" was printed at the right side of the label. 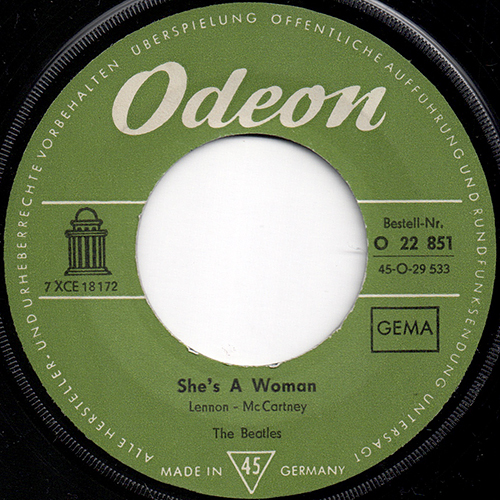 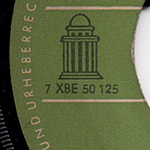 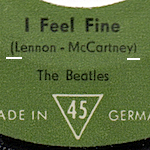 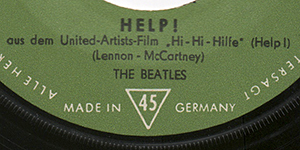 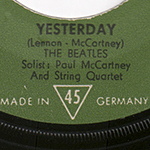 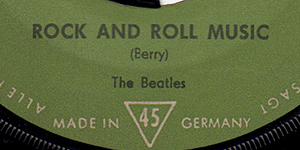 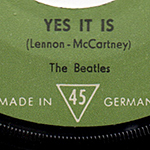 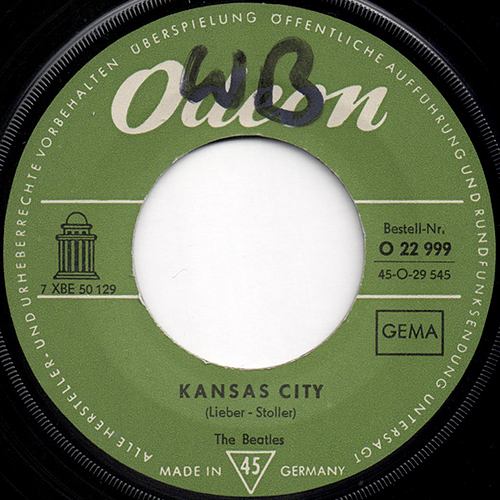 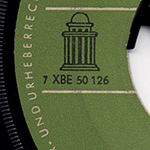 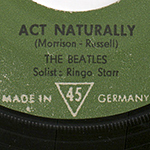 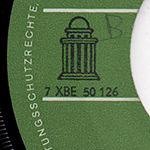 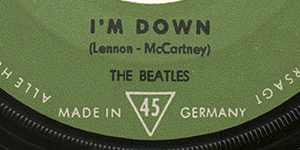 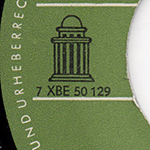 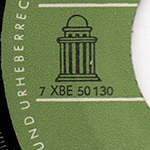 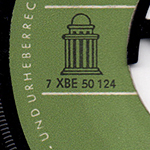 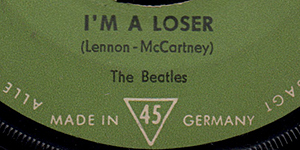 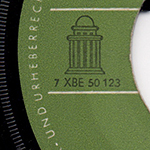 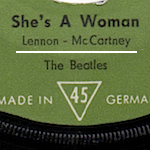 SIDE 1 SIDE 2 "MADE IN GERMANY (straight)" and 45 in a triangle were printed at the bottom of the label. 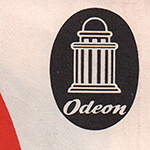 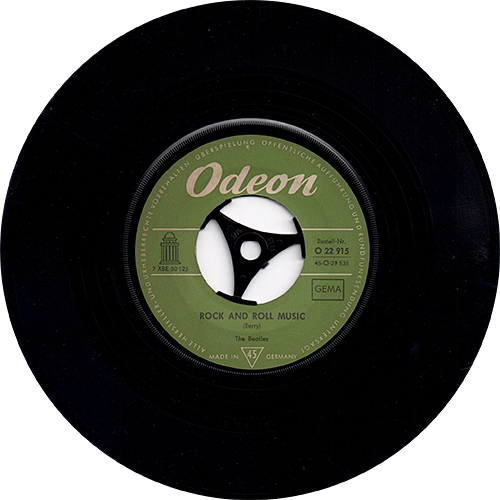 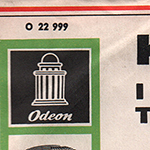 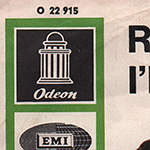 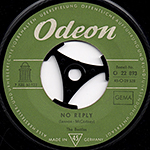 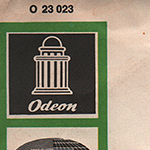 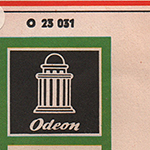 2nd press: release number above Odeon logo. 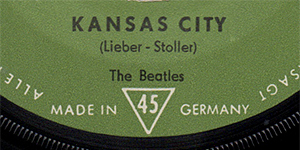 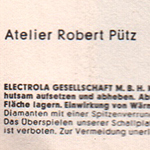 SIDE 1 SIDE 2 "MADE IN GERMANY (circuler)" and 45 in a triangle were printed at the bottom of the label. 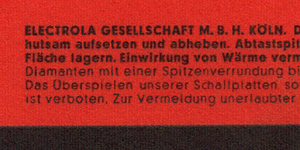 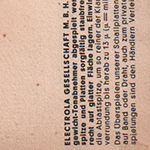 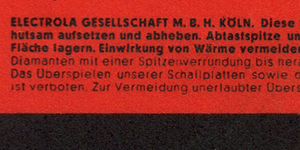 "ELECTROLA GESELLSCHAFT M.B.H KÖLN" was printed. 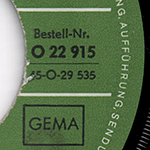 Catalog number "O 22 950" was printed at the right side of the label. 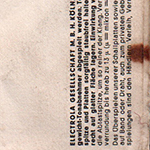 This is the so-called Cab Driver's sleeve. 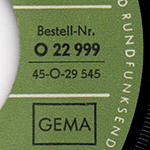 Catalog number "O 22 999" was printed at the right side of the label. 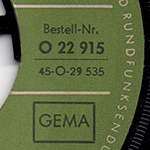 Catalog number "O 23 023" was printed at the right side of the label. 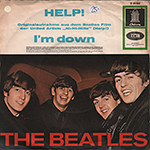 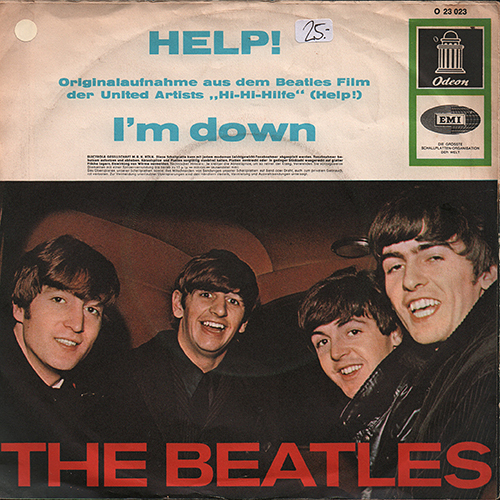 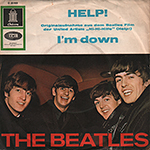 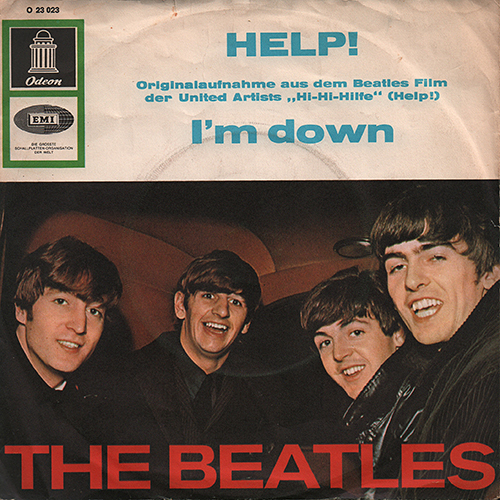 The credit "aus dem United - Artist - Film "Hi-Hi-Hilfe" (Help!)" 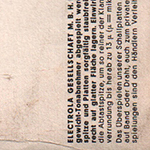 was printed on side-1. 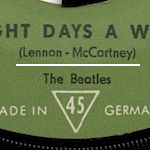 White-label demos are dated 16 July 1965 meaning official release was a few weeks later. 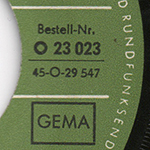 Catalog number "O 23 031" was printed at the right side of the label. 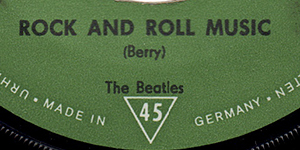 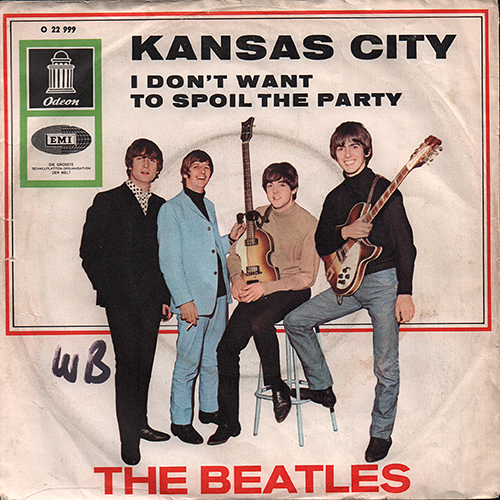 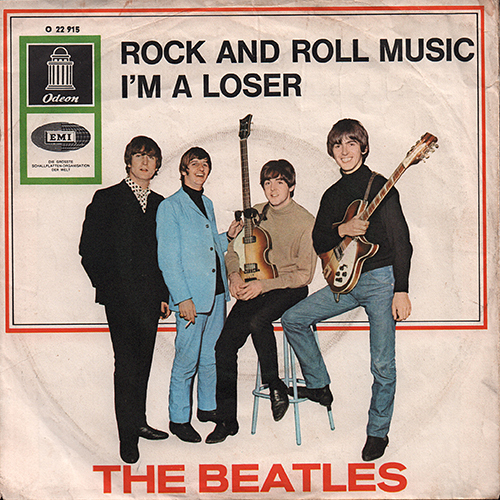 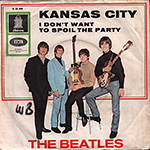 White-label demos are dated 29 Sep 1965 meaning official release was a few weeks later.